Another love life shock for Jen? Jennifer Aniston and Justin Theroux are reportedly “in a terrible place” with their romance. The Hollywood couple announced their engagement in August 2012, but to this day there seems to be no wedding plans in place. Apparently Jennifer and Justin are not doing well currently, with rumours their relationship is filled with arguments. "Jen and Justin are in a terrible place right now," an insider told America’s Star magazine. "They are never together, and even when they are together they fight nonstop." The pair haven’t been seen together publicly since April 4. He is currently filming his show The Leftovers in New York City and it’s claimed Justin didn’t want Jennifer to come and visit him on set. It’s claimed Jennifer suspected he was getting romantically involved with a staff member on The Leftovers. 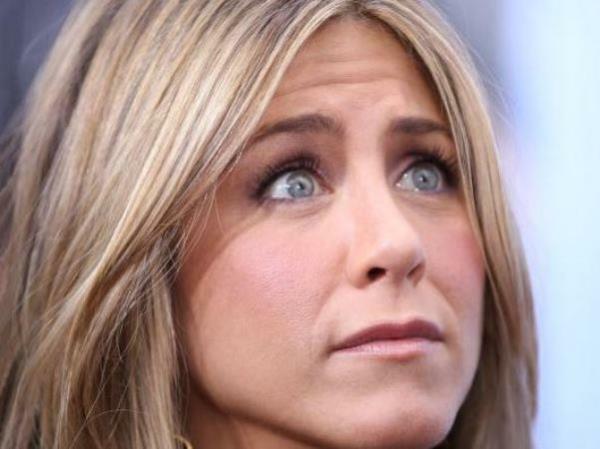 While she dined out on April 29, 2015 in New York City with Jason Bateman and his wife at Greenwich Village's Blue Hill, apparently Jen ran into Justin and the woman she thought he was dating behind her back. “(Jen's) always said that she knew this would happen, that she'd run into the girl so she immediately asked this blonde (about the nature of her relationship) with Justin I mean, it was ballsy. This woman was so taken aback she look like she was about to die,” the insider detailed, noting the unidentified lady made a quick exit after the alleged confrontation. "Justin was humiliated and embarrassed by Jen's crazy behaviour. Especially considering the fact that their relationship is hanging by a thread, he couldn't believe that Jen would go so far as to confront the girl about it. They had a huge fight over the phone." It’s claimed Jennifer was so angry after the shock run-in, she decided to call off the engagement entirely. And apparently Justin agreed with her decision to end their betrothal.